The social media giant promised that news and views will be checked for veracity and pejorative content will be weeded out. 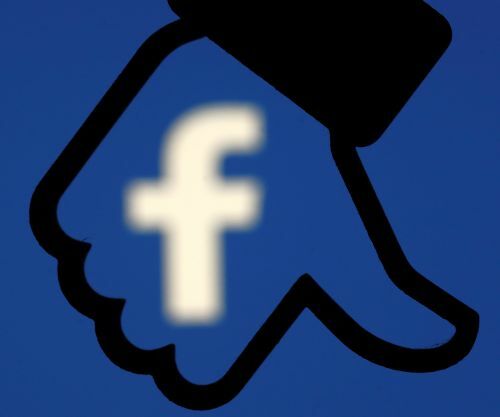 Political parties in India will find it difficult to influence voters through Facebook unless their content is accurate -- at least that is what the social networking giant has promised. Facebook Chief Executive Officer Mark Zuckerberg was grilled by United States senators, following revelations in the press of how data mined by it was used by the United Kingdom-based analytics firm Cambridge Analytica to influence voters in the 2016 presidential elections. Zuckerberg promised to ensure that Facebook would ensure data privacy more strictly and come down on fake news. Now, it has promised to keep track of the money spent by Indian political parties on advertisements they post on the website. Also, all content will be carefully vetted to ensure that false information is not being disseminated to influence voters. State elections in Karnataka, Madhya Pradesh, Rajasthan and Chhattisgarh are scheduled over the next few months. The next Lok Sabha elections are slated for 2019. In a first, Facebook on Tuesday made public the guidelines its moderators use to decide which post and news article it would remove for violence, spam, harassment, self-harm, terrorism, intellectual property theft, and hate speech. The government has already pulled up Facebook for allowing its site to be used to influence elections. Consequently, it has stated that political news and views will be checked for veracity and pejorative content will be weeded out. Also to ensure that it is not accused of influencing elections to increase advertisement revenue, Facebook will keep track of how much money is being spent by each political party to advertise on its portal. This is part of the company’s Advertisement Transparency initiative. To scan political content, Facebook has hired a slew of moderators who are proficient in Kannada, Tamil, Telugu, Bengali, Hindi, Gujarati and other languages. In the run-up to the 2019 elections, Facebook wants to ensure that no misinformation is spread through it. So, besides using internal checks, it is also using third parties. “There is an election integrity effort going on in Facebook. We are dealing with misinformation and disinformation on our service. We are internationalising the tools. We rely on third-party fact-checking. We have launched one such service in India,” Monika Bickert, vice-president, global product management, Facebook, said recently. As a pilot, Facebook is working with a third party to check facts on content for the Karnataka elections. “We have partnered with BOOM, an independent digital journalism initiative. The pilot programme will be rolled out in Karnataka,” the company stated. When a fact-checker rates a story as false, Facebook will show it lower in the news feed, significantly reducing its distribution.